"All the Young Dudes" is a song written by David Bowie, originally recorded and released as a single by Mott the Hoople in 1972. NME editors Roy Carr and Charles Shaar Murray have described the track as "one of that rare breed: rock songs which hymn the solidarity of the disaffected without distress or sentimentality". In 2004, Rolling Stone rated "All the Young Dudes" No. 253 in its list of The 500 Greatest Songs of All Time and on its 2010 update was ranked at number 256. It is also one of The Rock and Roll Hall of Fame's 500 Songs that Shaped Rock and Roll. Regarded as one of glam rock's anthems, the song originated after Bowie came into contact with Mott the Hoople's bassist Peter Watts and learned that the band was ready to split due to continued lack of commercial success. When Mott rejected his first offer of a composition, "Suffragette City" (from The Rise and Fall of Ziggy Stardust and the Spiders from Mars), Bowie wrote "All the Young Dudes" in short order specially for them, allegedly sitting cross-legged on the floor of a room in Regent Street, London, in front of the band's lead singer, Ian Hunter. With its dirge-like music, youth suicide references and calls to an imaginary audience, the song bore similarities to Bowie's own "Rock 'n' Roll Suicide", the final track from Ziggy Stardust. Described as being to glam rock what "All You Need Is Love" was to the hippie era, the lyrics name-checked contemporary star T. Rex and contained references to The Beatles and The Rolling Stones ("My brother's back at home with his Beatles and his Stones/We never got it off on that revolution stuff") in a "wearied swipe at the previous generation". Bowie himself once claimed that the song was not intended to be an anthem for glam, that it actually carried a darker message of apocalypse. 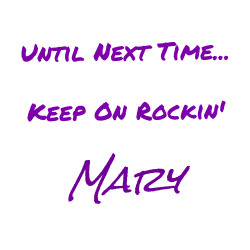 According to an interview Bowie gave to Rolling Stone magazine in 1973, the boys are carrying the same news that the newscaster was carrying in the song "Five Years" from Ziggy Stardust; the news being the fact that the Earth had only five years left to live. Bowie explains: "All the Young Dudes' is a song about this news. It's no hymn to the youth, as people thought. It is completely the opposite." Mott the Hoople's single was released in July 1972 and made No. 3 in the UK Singles Chart, No. 37 in the US (in November) and No. 31 in Canada, and appeared on their album of the same name in September of that year. In November 1972, Bowie introduced the band on stage at the Tower near Philadelphia and performed the song with Hunter (released on All the Way from Stockholm to Philadelphia in 1998 and the expanded version of All The Young Dudes in 2006). The original Mott the Hoople release had to be changed lyrically in order that it might be played on UK radio and TV. The line in the second verse: "Wendy's stealing clothes from Marks and Sparks" was a reference to UK retailer Marks & Spencer, also known by that colloquialism. As such, air play of the song in its original form would have breached broadcasting regulations relating to advertising in force at the time. The line was replaced with: "Wendy's stealing clothes from unlocked cars". Today, both versions are freely aired. Bowie took to performing "All the Young Dudes" on his own 1973 tour, and a medley version appears on the album Ziggy Stardust - The Motion Picture, the live recording of the last Ziggy show that was finally released officially in 1983. Bowie's first released version of the song was in 1974 on the David Live double LP. In 1992, twenty years after their duet in Philadelphia, Bowie and Hunter again performed the song together with the surviving members of Queen, Mick Ronson, and Def Leppard's Joe Elliott and Phil Collen at the Freddie Mercury Tribute Concert. The song was also featured during Bowie's 1995–1996 Outside Tour as well as the 2003–2004 A Reality Tour tour, and is included on the A Reality Tour DVD and A Reality Tour album. Bowie's own studio version, recorded in December 1972 during the sessions for Aladdin Sane, went unreleased until 1995 when it appeared in mono on the album RarestOneBowie. It was subsequently included, again in mono, on The Best of David Bowie 1969/1974, the 2-disc U.S. version of Best of Bowie, and the 30th Anniversary edition of Aladdin Sane. A stereo version, which is around a minute shorter than the mono version, circulated unofficially among collectors and finally saw official release in November 2014 on Bowie's Nothing Has Changed compilation set. 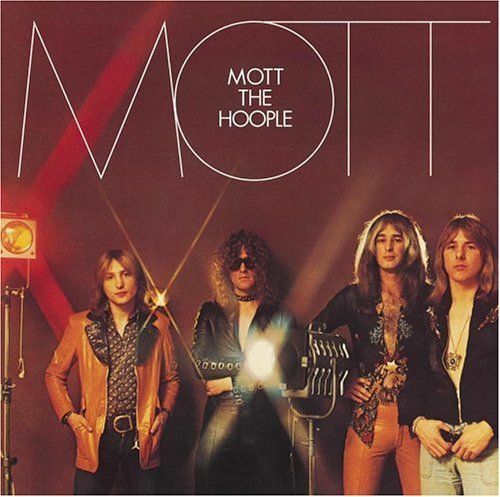 There also exists a version consisting of the backing track for Mott the Hoople's version with Bowie's guide vocal. 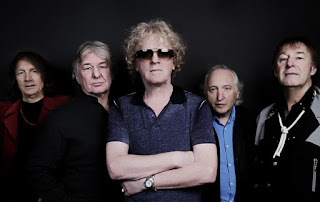 A variant of this version, combining Bowie's vocal on the verses with Ian Hunter's on the chorus, was released on the 2006 reissue of All the Young Dudes. Bowie also used the music in reverse as the basis for "Move On," a track on his 1979 album, Lodger. "All the Young Dudes" was featured in the 1995 film Clueless, the 2007 Jason Reitman film Juno and the 2008 film The Wackness. It is also used in Ricky Gervais and Stephen Merchant's 2010 film, Cemetery Junction. 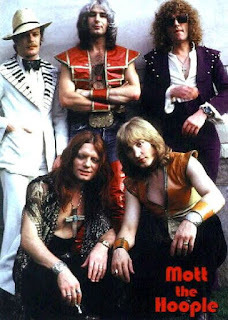 In 2010 the Mott the Hoople version has been used as the backing for two unrelated UK TV adverts. Aged 58, Griffin was diagnosed with early-onset Alzheimer's disease. 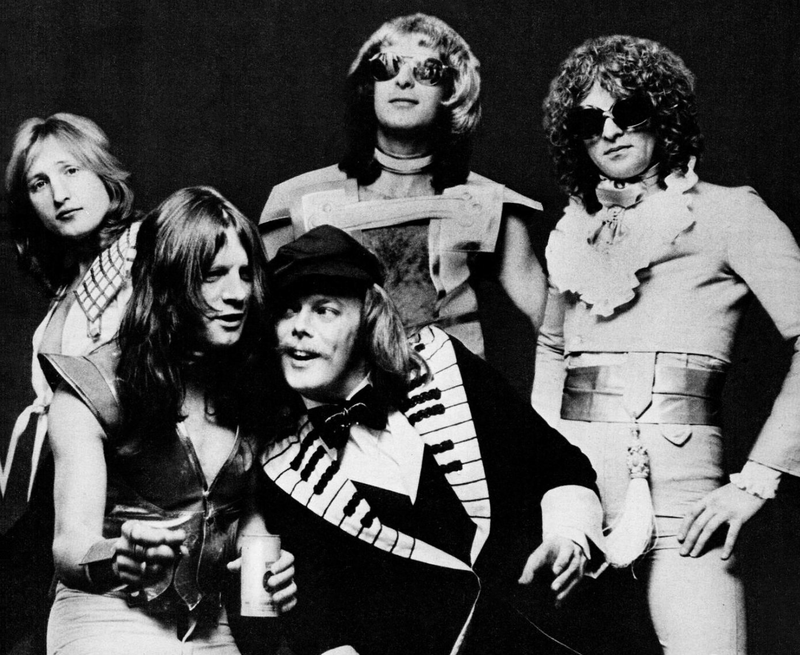 In January 2009 it was confirmed that Griffin and the other original members of Mott the Hoople would reform for three 40th anniversary reunion concerts in October 2009. Due to popular demand, the reunion was eventually extended to five shows. Having been diagnosed with Alzheimer's disease, Griffin only performed during the encores. The Pretenders drummer Martin Chambers, a fellow Herefordshire native and friend of the band, played the main set and also covered for Griffin on the 2013 tour. Griffin died in his sleep on 17 January 2016 at the age of 67.